Home > GYAN about WHAT - WHY - HOW ? > What Are The Uses And Advantages Of Myrrh? 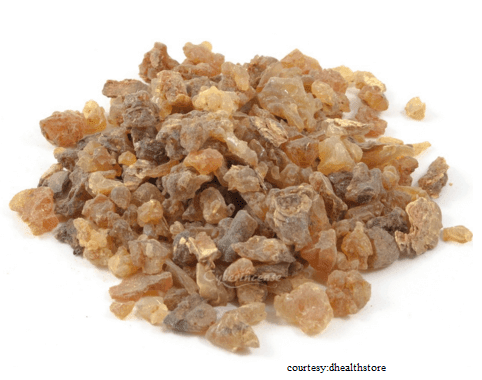 What Are The Uses And Advantages Of Myrrh? Myrrh is dried resin. It is a type of spice from thorny tree. Commiphora is the botanical name of Myrrh. It is a type of natural gum. Myrrh resins have many medicinal values and used for perfumes for incense. 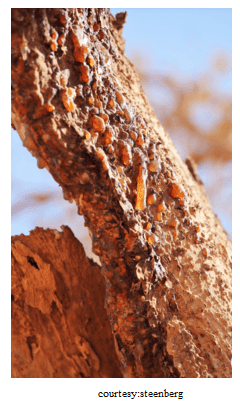 The Myrrh gum is harvested from Commiphora Myrrha. These myrrh gums looks opaque and are mostly waxy. They are also used in perfumes and as incense ingredients. They are commonly found in Eastern Mediterranean, Yemen and Eastern Ethiopia. This resin is a used in both ancient and modern medicine. In the historic times it has had value as much as gold or even more than that because of its medicinal values and use in religious rituals. Myrrh is has many advantages as well as side effects too. Medicinal use: As already known Myrrh is widely used in ancient as well as modern medicines. It had high astringent properties. So in ancient days Myrrh resins was used to tread wound by dressing it with these resins. It is used as antiseptic in modern medicines. It is treatment for gum diseases, hence commonly found in mouth washes and tooth pastes. Skin irritations can be treated by using myrrh. According to some studies, Myrrh can be used for reducing inflammation and so can be can be a treatment for Asthma and stomach disorders. The extract from Myrrh can be a treatment for many gynaecological cancers. Perfumes: After medicinal values, Myrrh is very famous for its fragrance. It is widely used in perfume industry. Since the ancient times these resins are used in perfumes and this is continued till date. The colour and texture of the Myrrh indicates the quality of it. So dark and sticky texture is a sign of high quality. High quality means large amount of fragrant oil. This fragrant oil gives the unique smell. Flavouring food products: The Myrrh resins are used as flavouring agents in many ancient food products. It gives a kind of aroma for the food which stimulates the taste buds. Oral treatment: Myrrh decreases inflammation. So it has been used to treat gum diseases and for various other oral treatments. In modern days its extract is used in mouth washes and tooth pastes. This makes it a great help for mouth ulcers. Religious rituals: Ancient Egyptians used Myrrh for embalming of mummies. Myrrh oil is used in purification rituals. It is also used in the preparation of sacramental chrism. Heart problems: Excess and uncontrolled use of Myrrh can cause various heart diseases. It will lead to high blood pressure which gives rise to heart failure. Miscarriages: Pregnant women should avoid direct consumption of the Myrrh resins as it may lead to miscarriages. Skin problems: Highly sensitive skin people may develop skin allergies with dermatic contact of Myrrh. Why does hair turn grey? Stepping into the light – the Story of DeWitt Bristol Brace. Sir Isaac Newton Into the Universe with Stephen Hawking.